Welcome to a new way of approaching and achieving your highest level of health! BreakFree Medicine provides the best of naturopathic, functional, and conventional medicine techniques and tools to empower you to be healthy and live the life you deserve! I’m so excited to share with you my new book, BreakFree Medicine: A Systematic and Integrated Guide to Balancing Your Body. This book is a condensed compilation of everything I’ve written about for the past eight years on my BreakFree Medicine website as well as the health modalities I use successfully with my clients. I’ve used these very methods myself to help me recover from a chronic back condition and an autoimmune manifestation of celiac disease. During this time of seeking answers, I realized that I had to become my own best advocate and empower myself with solutions that were holistic, integrative, and that actually worked. Now, I want to share all that I learned with you! BreakFree of Chasing Symptoms and Start Living a Healthy Life! First of all, let me tell what BreakFree Medicine is NOT. BreakFree Medicine is NOT based on a “BreakFree” diet, trend, or method. My book is not a program or a promise. Rather, the BreakFree Medicine approach is a process that engages you to find what is right for you. It educates and empowers you to form healthy partnerships with your best possible health advisors and practitioners. It is my belief that the critical role of the doctor should be in assessing and bridging current scientific studies with patient-friendly applications and using this knowledge to create a healing therapeutic partnership. My book will provide you with step-by-step instructions on how to effectively navigate today’s changing medical environment by providing safe and scientifically based lifestyle, supplement, herbal, essential oil, and dietary suggestions. I worked hard to make my book a comprehensive and holistic system that aids you in rebalancing your body and revitalizing your own innate healing potential. You deserve to be healthy, happy, and whole! BreakFree Medicine: A Systematic & Integrated Guide to Balancing Your Body is available online for purchase at Balboa Press and Amazon. “Dr. LoBisco has collected information from a vast array of experts in the field of alternative medicine and distilled it into a way of living that is not only science-based, but is practical, easy to implement, cost-effective and imminently logical. In short, we have more than enough books on alternative medicine. What are desperately lacking are books that make it easy for everyone to incorporate alternative medicine into their everyday lives. For those people who want to go beyond interest and actually use alternative medicine to create a happy and healthy life, this book is a must read.” -Jeffrey Moss, DDS, CNS, DACBN, Moss Nutrition Products, Inc.
“Dr. Sarah LoBisco’s book is a brilliant and comprehensive look at medicine, healing and wellness from both the analysis and critique of what is wrong with our modern system of medicine, and also by detailing the path we need to take, both individually and collectively, to achieve better health from a physical, emotional and spiritual perspective. I highly recommend this book, and anyone who reads it will be grateful for having done so and the knowledge and insight they will have gained.” – Michael Wayne, PhD, LAc, author of Quantum-Integral Medicine: Towards a New Science of Healing and Human Potential and The Low Density Lifestyle. “Dr. 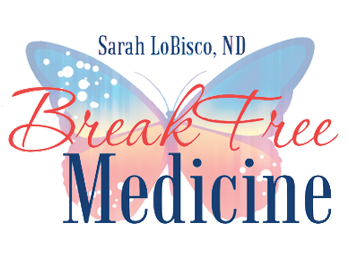 Sarah LoBisco is a shining example of an integrative doctor who is teaching modern medicine how to balance scientific progress with natural healthcare wisdom. Her book BreakFree Medicine is a treasury of wellness.” -Robert Holden, PhD, author of Happiness NOW! and Shift Happens! “Within the pages of Dr. Sarah LoBisco’s book, you will find not only trustworthy and accurate healthcare information, but a spirit of compassion and support in the delivery of that information. Dr. LoBisco is discerning yet non-judgmental in her systematic guide for wisely integrating wellness into your lifestyle. As a practitioner who wants clients to feel safe through the changes they have to make, I am immensely grateful for not only what Dr. LoBisco presents to the world but how she presents it. Her work promises to be highly effective and impactful for those who embrace its wisdom because her voice is equally as supportive as it is knowledgeable. My hope is that all the readers of this book, whether practitioner or patient, will value it as a foundational resource for obtaining the balance and results they truly seek!” -Camille Gallinger, CN; Vitality Enterprises, Inc.
Sarah LoBisco, ND, is a graduate of the University of Bridgeport’s College of Naturopathic Medicine (UBCNM). She is licensed in Vermont as a naturopathic doctor and holds a Bachelor of Psychology from State University of New York at Geneseo. Dr. LoBisco speaks professionally on integrative medical topics, has several journal publications, and is a candidate for postdoctoral certification in functional medicine. 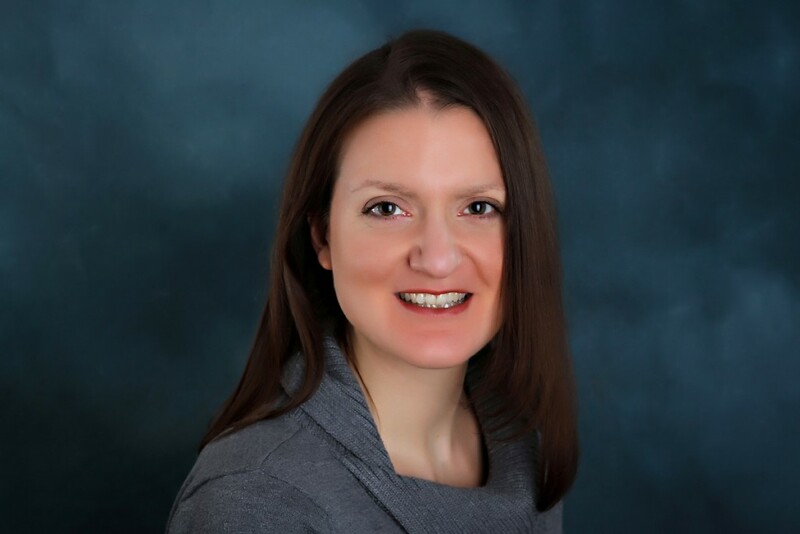 Dr. LoBisco currently incorporates her training in holistic medical practices and conventional medicine through writing, researching, private practice, and through her independent contracting work for companies regarding supplements, nutraceuticals, essential oils, and medical foods. Dr. LoBisco also enjoys continuing to educate and empower her readers through her blogs and social media. Her recent blogs about living naturally in our complex world and on the applications of essential oils can be found at dr-lobisco.com. Here’s the links again to purchase my book now from Balboa Press or Amazon.